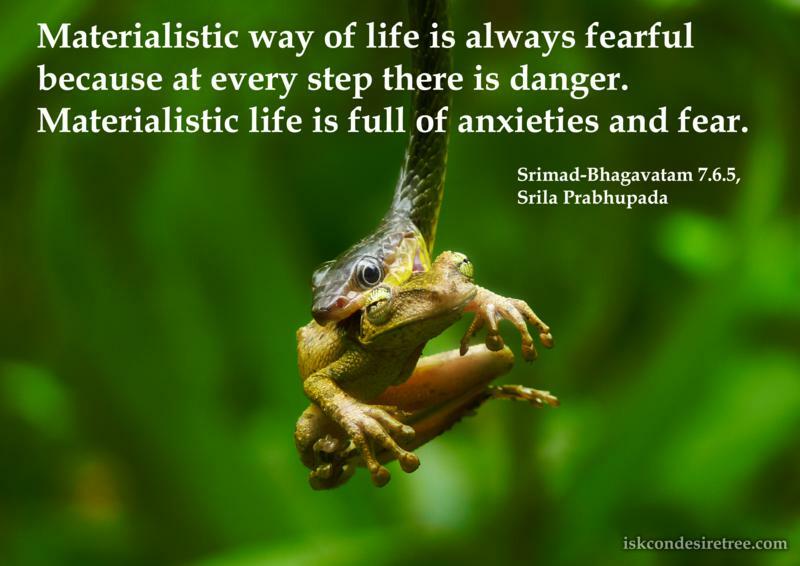 Materialistic way of life is always fearful because at every step there is danger. Materialistic Life is full of anxieties and fear. Krishna doesn't put you into anxiety. You put yourself into anxiety. Krishna simply makes you go through your course of karmic reaction. We get purified when we take anxiety for God’s service.